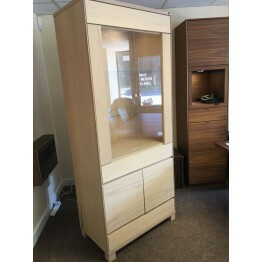 These are some of the Skovby models of furniture we have available straight from our showroom floor, they are not seconds or returns, just simple showroom demonstration models and are all in A1 perfect condition. If you want extra details about any of these please don't hesitate to contact us for more dimensions, photos or even videos of the item you like. We are here to help. If you want to call on us please do, you can take a look first hand at the items shown here, and also there may be more in store of that isn't listed here. We are open Monday to Saturday from 9am to 5pm and you can call is on 01283 74000 and speak to us about your requirements, we are always happy to help. If none of these items suit your requirements then please take a look at the full ranges of Skovby furniture we can supply for you by clicking here. 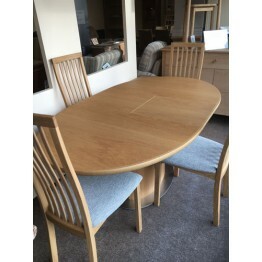 SHOWROOM CLEARANCE ITEM - Skovby SM23 Dining Table with Four SM95 chairs - Solid Oak Natural Oil Finish - Extends to over 3 meters. 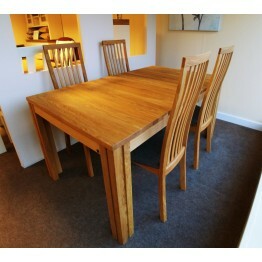 This is a Skovby extending dining table with 4 dining chairs that have fabric seats. It looks stunni.. 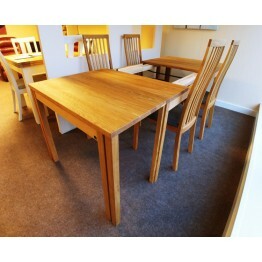 This is an oak table and four dining chairs made by the Danish manufacturer Skovby furniture. The di.. 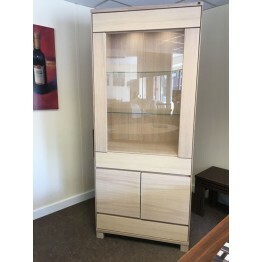 This is a Skovby SM312 display cabinet made in the White Oak Oil finish. As you can see has a wonder.. This is a walnut oiled finish wall arrangement which includes a TV HiFi Lowboard in the centre and a..